U Kiang Nangbah was born to Ka Rimai Nangbah at Tpeppale in Jwai. 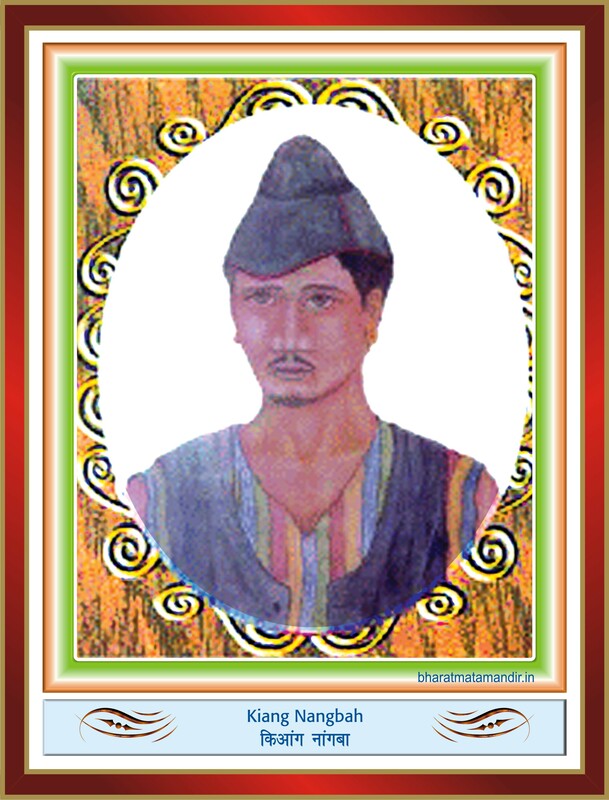 The exact date of his birth is not known but it is said that he was a child at the time when the British annexed the Jaintia Kingdom in 1835. Unlike other patriot of the region, U Kiang Nangbah had no royal background. He was a rural folk and a common farmer that belonged to the lineage of the Sookpoh clan. Though very young in age at the time of annexation, he was greatly disturbed by the highhandedness policies of the Britishers. The spirit of patriotism was inspired in U Kiang Nangbah by these developments and by the daring life story of his maternal uncle, U Ksan Sajar Nangbah, who fought against the British at a place called Chanmyrsiang. In 1860, a House Tax was imposed in Jaintia Hills. The public pronouncement of this imposition was made by Manik Pakyntein a Dorbar held at Mïnkoi Pïrdi in 1859.. U Kiang Nangbah gave a befitting reply in the dorbar and said, “Natives do not pay taxes to the foreigners”. In the same year, many more taxes were imposed which includes Income Tax and duties on trade and other commodities despite the people of Jaintia had made it clear that they would not pay any forms of taxes imposed by the foreigner. Apart from imposition of taxes, there were other activities of the British government that made the Jaintia people determined not to remain mute spectators, but to resist the British authority. A police station was established at Jwai in 1855, as a token of the government authority over the hills. The setting of police station near the cremation ground of the Dkhar clan was resented by the people. The British administration was asserting its power and took additional measures to control the Jaintias and to suppress their religious beliefs. In addition, establishment of a school by the missionaries also caused concern for the people. The immediate cause of the resistance was triggered by the incident that took place at Yalong. On the occasion of the traditional dance called ‘Pastieh Kaiksoo’. The police led by Surki, a Khasi police officer of Jowai confiscate all the weapons that are meant for the festival and burned them before the very eyes of a large number of people that had gathered to witness this traditional dance. 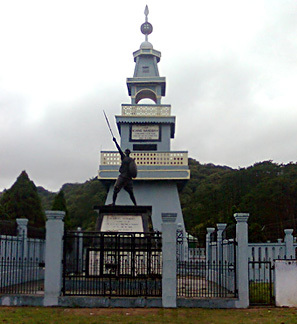 The act of religious intolerance carried out by the British officials had made the Jaintia to rose in arms and protect their land, customs and religion. The government official and missionaries influenced the people to believe that the sanctity of their sacred grooves known as ‘Khloo Langdoh’ was a superstition belief. This political and religious interference of the British ignited the fire of mass movement which started with the calling of the Dorbar of the twelve Dalois to appraise the people about the need to resist the alien rule. Daring old and young men attended the Dorbar. U Kiang Nangbah was unanimously elected a leader after fulfilling a test. U Kiang Nangbah and his men start building barricades, stockades, stored grains and manufactured weapons and firearms. U Kiang Nangbah and his people from the villages of Jwai, Yalong, Latober, and Changpung attacked the Police station at Jwai and destroyed it completely. They also burnt down Christian settlement and besieged the military post. The attack spread to other part of Jaintia Hills like Padu, Satpator, Nangbah, Yalong, Mynsoo, Changpung, Nyrtiang, Raliang, Sutnga, Nangkhlieh, Barato, Mookayaw etc. and the British had to reinforce more Regiments to conduct a full scale military operation against U Kiang Nangbah and his men. Meanwhile U Kiang Nangbah fell ill and taking this as an opportune moment, U Long Sutnga a key member of his team, informed about the place and condition of U Kiang Nangbah to the British. On 27th December 1862, the British captured Kiang Nangbah in the early hours but with stiff resistance from U Kiang though he was ill. This revolutionary leader was put on mock trial and was sentenced to death within three days of his capture, before the very eyes of the troops and locals, to send across a tough message that any resistance to the British rule would not be tolerated and would be suppressed with an iron hand. He was hanged on 30th December 1862. The ignorance about U Kiang Nanbah is a reflection on the Government’s education policy, which has totally neglected the history of the North-East. Forget Nanbah, most history textbooks prescribed by the Central Board of Secondary Education do not have any reference to the history, culture or traditions of the region. It seems as if their history begins with the British annexation of their territories. A serious attempt was made in this direction under the leadership of the then National Council of Educational Research and Training Director, JS Rajput, during the NDA regime, but hundreds of textbooks prepared during the time were later thrown into the dustbin under the garb of preventing ‘saffronisation’ of education. Efforts to build bridges of understanding between the North-East and the other parts of the country have been happening by some organizations and initiatives such as Ekal Vidyalaya, Ramakrishna Mission, Vivekananda Kendra, Vanvasi Kalyan Ashram, Sewa Bharati, many initiatives by swayamsevaks of RSS and other well meaning individuals. Nevertheless, this sensitisation has to begin from the school level itself, and that can be made possible only by incorporating the history, culture and traditions of the North-East in social studies textbooks taught across the country. This can be done with the active involvement of the people of the region and by educating the rest of the country about the contributions made by the freedom-fighters, intellectuals, artists and sportspersons from the North-East towards the building of a modern India. This entry was posted in Biosketch, History, Nation and tagged CBSE, CBSE History, Freedom Fighters India, Meghalaya, North East, North East India, U Kiang on February 4, 2014 by arisebharat.